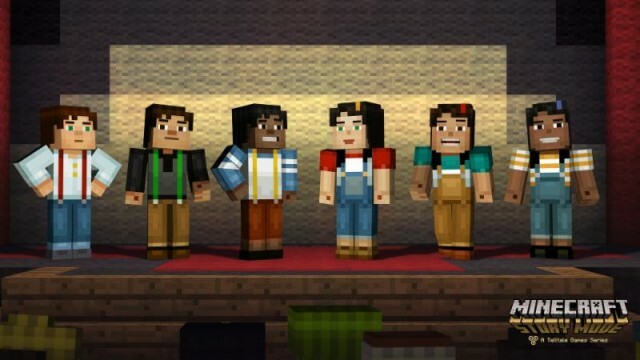 Earlier today at a PAX presentation, Telltale Games not only confirmed that the first episode of Minecraft: Story Mode is set to launch this fall, but will also host a first for the company’s adventure games. The lead character Jesse will have six different looks that players can select from, with three male versions and three previously unannounced female versions. Patton Oswalt was previously confirmed as the male version of Jesse, and now it has been announced that Catherine Taber will voice the female version. Other confirmed voice actors include comedian Brian Posehn, Ashley Johnson of The Last of Us fame, Dave Fennoy from Telltale’s first season of The Walking Dead, 80s icons Corey Feldman and Paul Reubens, Billy West, Scott Porter and Martha Plimpton. Minecraft: Story Mode will be available on Xbox One, Xbox 360, PlayStation 4, PlayStation 3, Wii U, PC, Mac, iOS and Android, offering a plethora of ways for gamers to get their hands on it.